Whether you are a beginner or a more experienced guitar player, you have undoubtedly heard or read about a device called a looper – this is the name guitar loop pedals are known under. They are used for live performances, for studio recording and composing sessions and also by guitar teachers and students as a training tool. A looper pedal is a small gadget, designed to record a part of your song (or the entire piece) and then repeat it again and again – basically, the portion you have recorded is looped until you stop this process. Some models will allow you to add different effects to the recorded sound while playing it back – these include distortion, chorus, phaser and many more. 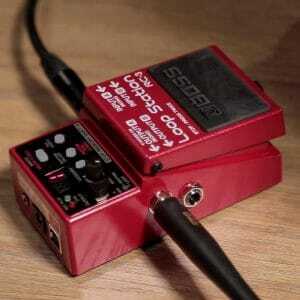 When playing live, you can create a richer sound by using the looper instead of a backing track. Start the loop when the time is right and play something different over it. This will reduce the need for additional guitarists or for using backing tracks. For those taking their first steps toward composing their songs, the loop pedal allows them to improvise over a pre-recorded part until they are satisfied with the result. One reason you should consider purchasing a guitar looper pedal is the fact that it provides you with a lot more opportunities for practice then other methods, and it is a lot simpler to use than a specialized computer software for recording and sound engineering. To begin with, you will have to learn how to use the device – the easiest way is to hit the footswitch, strum a chord and count until you reach the end of the bar; just then, press the switch again to stop the recording. By repeating this, you will grow familiar with timing and with the ways you can start and finish a loop. You will also grow accustomed to the feeling of the switch and with what the other features included do. As you become familiar with the gadget, you can try many other exercises which aim at improving timing. As the patterns you are playing grow more and more complicated, you can start adding effects to the sound, or you can try overdubbing. The latter means recording a different melody over an already recorded part which is being looped. You will get a richer sound as if two guitars were playing in the room. 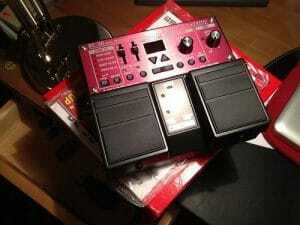 You will surely find a guitar looper pedal beneficial when you start improvising and composing your tunes. Instead of having to rely on another guitarist to repeat the same part over and over again while you are thinking of improvements and new ideas, you can start the loop and keep it playing for as long as you want. Improvising does not require you to overdub or record another loop. It can be challenging to write a new song on your own when you cannot foresee how the different ones will sound when put together. Remembering everything on your own is even trickier, as you can easily forget one note which will change the whole tune. If other guitarists do not accompany you, you will need recording software to be able to compose a song. A looper will solve the problems, allowing you the freedom of composing on your own, at any time, without any unnecessary complications. Record the song or the melody you had in your mind and loop it; once you have another idea, you can use the overdubbing feature most loopers have to add layer upon layer until you are satisfied with the result. Last but not least, if you are improvising at home and you come across something that sounds great, you might want to show it to your band members. However, if you do not have recording software, it is impossible – a phone recording takes away all the quality. 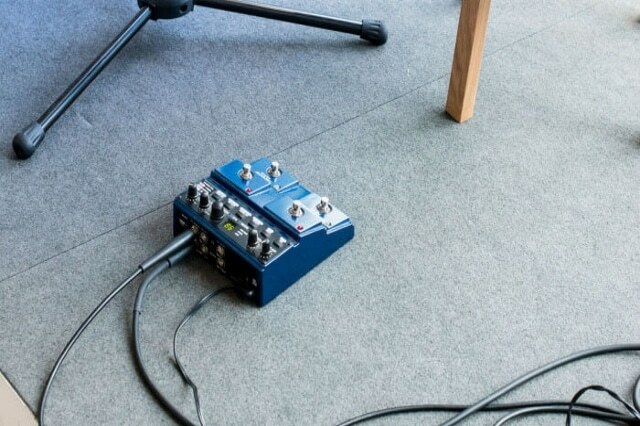 With a looper, this problem is solved – you will use the device to save your ideas, and, as most are portable and easy to carry, you can take it to the studio whenever you have a scheduled rehearsal. Live performances can be significantly enhanced by loopers, even if you have an extra guitarist in the band. Sometimes, multiple layers create a much richer sound. Carrying a looper is not difficult and will not overload the stage. This small pedal can be placed next to your other effects and, as long as you do not use it by mistake, everything will be alright. Another moment when you will find a looper extremely useful will be in the unfortunate event that the other guitarist in the band cannot show up. If there is no time to set up a backing track, the only hope for a successful show is the looper pedal. Easy to use, setting everything up should take little time and, provided you have a more professional model, you can preset the time or number of loops. The best looper pedal is the one which meets your expectations without costing too much. If you only want the primary function, the reasons mentioned above are enough to demonstrate that the pedal is worth the money. However, there is one more thing which could convince you to buy a looper. A more expensive model might include a lot of other cool features for a guitar player, such as a drum machine and many guitar effects which can be used for the recorded song. Some of these include chorus, phasers or delays. Distortion can also be encountered on some pedals, as well as crunch or overdrive. Noise filters can also be featured, turning a simple loop pedal into a more versatile device, which will enhance your playing and make things a lot more exciting.